The shocking news dropped yesterday on Twitter (Monday, 13th November): staff members of IGN staged a walkout / strike in show of support for former colleague Kallie Plagge who had broke the news through her Twitter feed (@inkydojikko) earlier that she was subjected to sexual harassment from a male colleague. 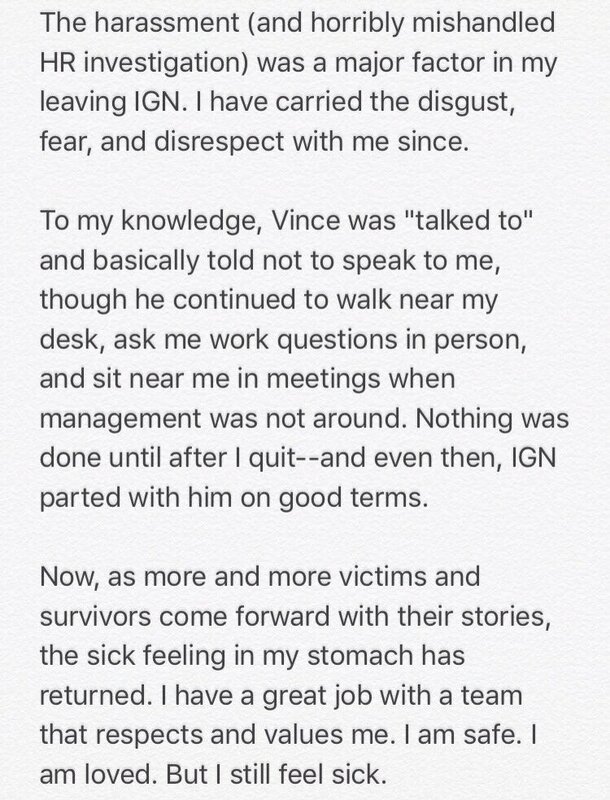 The staff at IGN were angry at the fact that IGN had not at that time issued a statement and were keeping very quiet about the whole situation; was the silence an admission of guilt? Or was the silence time for IGN to gather all the information and evidence together? 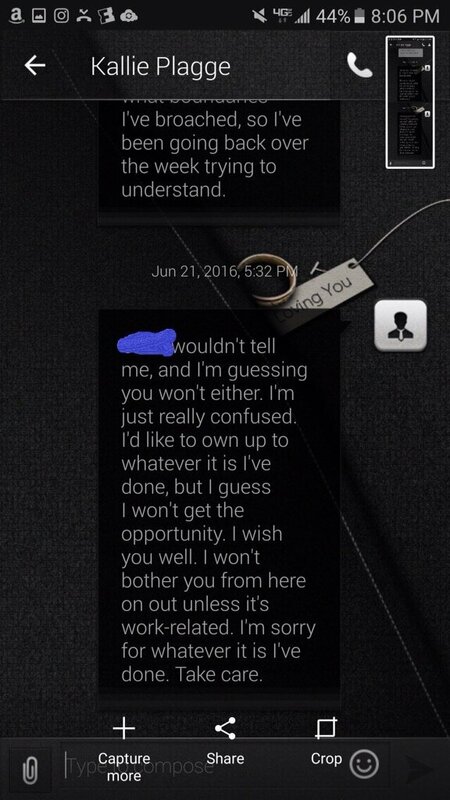 Well as it was silence this is something we didn’t know at the time and speculation was rife on social media. IGN’s daily news show “Daily Fix” was cancelled for the day yesterday as the staff remained on strike and were unwilling to start work until an official statement was made. Reading through that statement doesn’t paint IGN in a great light at all and all signs are looking towards a cover up. 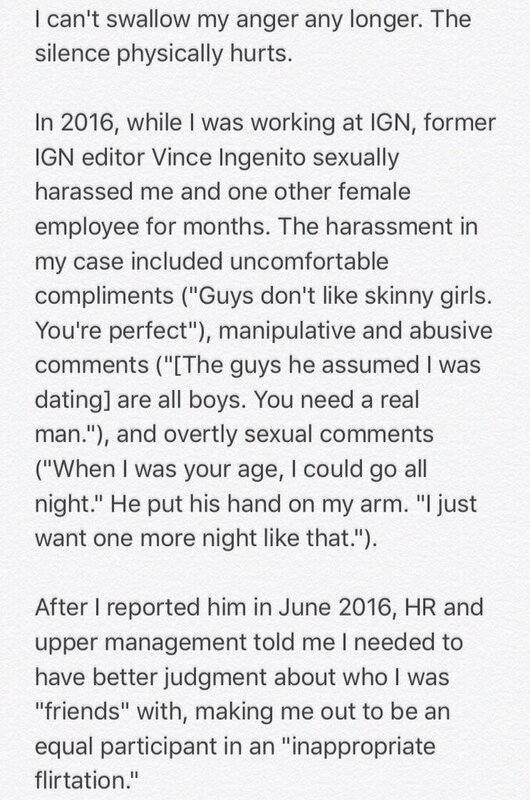 Within the statement Kallie names the alledged harasser as Vincent Ingenito, who at the time was an editor at IGN. Reading more of Vince’s Twitter feed (@vincogneato) he seems to be claiming that it was harmless office banter that over stepped boundaries. To be fair any type of “office banter” that can be interpreted as sexual harassment has no place in society. Many are questioning the timing of IGN’s statement, why did it take so long to put out? A few have even stated that they are going to boycott the site. All in all, it seems a very messy situation that has been badly managed from the start; hopefully never to be repeated. 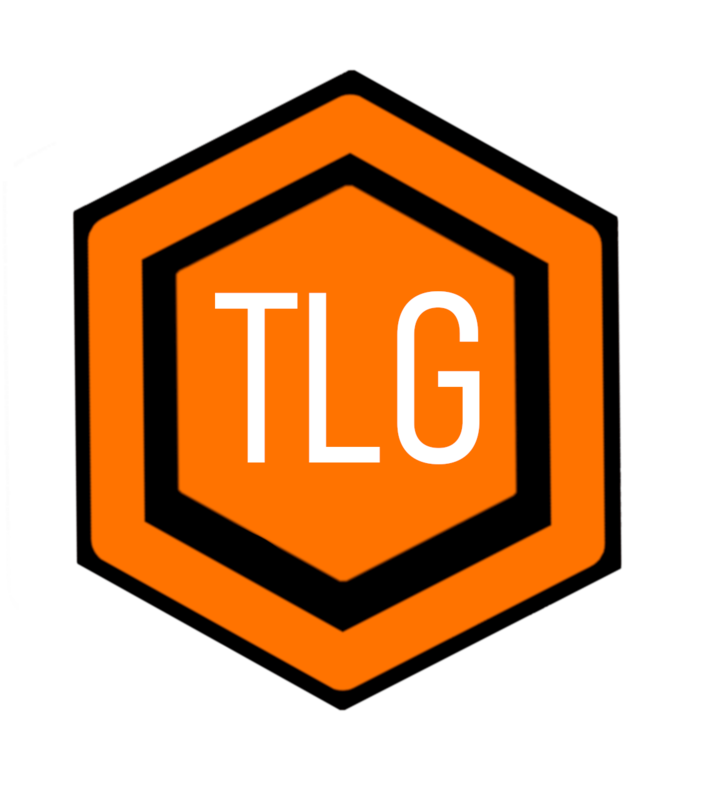 Leave your thoughts on this in the comment section below and let us know how you feel about it.